Prior to hedge riding, there are some steps every hedgewitch should take to ensure they are able to reach the Otherworld with ease. There is nothing more frustrating than attempting to hedge ride and your mind failing you because it is distracted by what you are going to eat for dinner or how much work you have left to get done. So how do you combat the urge to let your mind wander? There are a couple of techniques you can use to begin focusing your mind; meditation and pathwalking are two such ways. I bet you guessed I was going to go there. Sorry! The best way to begin focusing your mind is through meditation. It is a common misconception that in order to meditate your mind must go blank. The opposite is usually true. During meditation, you hyper-focus on one or two things or events. Instead of letting the mind wander to daily tasks, you focus on visualizing that one specific thing or event. Have you ever "zoned out" before? That's essentially what you do during meditation except it is a controlled zoning out. Reaching a quieted state of mind can be extremely difficult for some, especially if you are used to being constantly busy or are ADD/ADHD. This is a problem if you are looking to hedge ride. Your mind must be completely focused on the task at hand, or at least easily controlled if your mind does start to wander. Don't worry, my mind occasionally begins to wander as well, especially if I am under a lot of stress at work or home. So how do you begin meditating? First, start by meditating for short periods of time, think 5 minutes. As you progress, increase the time to 10, 15, and 20 minutes. Once you can easily meditate for 20 minutes, you are well on your way to hedge riding. One of the simplest meditations, to begin with, is a 5-minute meditation where you visualize an apple or any of your favorite fruits. To begin, find a comfortable place to sit or lie down. You don't want to be so comfortable you fall asleep, but you also don't want to be uncomfortable so your mind ends up wandering. Once comfortable, close your eyes. Begin visualizing an apple (or whatever fruit you picked). I always start with the apple itself. Is it red, green, golden, or a different color? Is it perfectly round, dimpled, bruised, or oblong? Is it shiny, glossy, or dull like a pear? Are their speckles or stripes? Next visualize the stem. How long is it? Are their leaves still attached? Is the apple on the ground or still connected to the tree. Spend 5 minutes focused on shaping the apple in your mind. Practice this visualization several times before you move on to bigger things. When you have mastered the apple, try visualizing a stream, an entire tree, your home, or even yourself. These visualizations are much larger and should take you between 10 to 15 minutes to completely form. If you are struggling, it could take up to 20. Once you can easily conjure images in your mind's eye, try picturing nothingness. See how long you can focus on nothingness before your mind starts to wander. Again, start with 5 minutes and work your way up to 20 minutes. This is much harder than visualizing an object during a meditation. This is the quieting of the mind often spoken of in regards to mediation. If you can't do it longer than 5 minutes, don't despair. You are more than capable of hedge riding without being able to quiet your mind for 20 minutes. 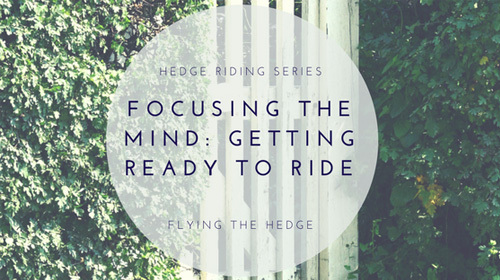 In fact, hedge riding is much easier to do because your mind is busy processing information during a ride versus trying to remain focused on nothing. Another technique to get your prepared for hedge riding is pathwalking. 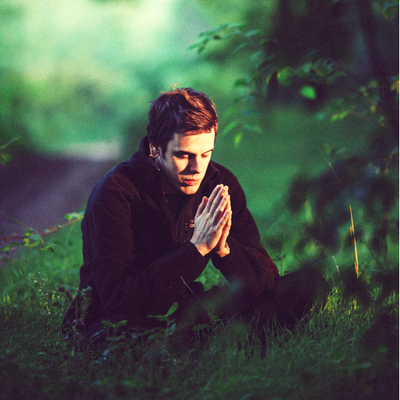 Essentially, pathwalkings are guided meditations that take you on a journey of sorts. I STRONGLY encourage all hedgewitches to practice pathwalking. It is one of the closest things to hedge riding without the actual riding experience. During pathwalking, the listener is guided through a visualization or journey. Generally, pathwalking takes between 10 and 20 minutes, although there are guided journeys that last much longer. You can think of pathwalking as being akin to hypnotism. The experience is similar except you are left in control of your mind and journey versus the guide controlling you. Begin with something short, think 10 minutes or so. You can even write and record your own pathwalking journeys if you can't find something you like. For example, you can record a journey through a forest where you take a nice refreshing dip in a cool river, or where you run through a field of wheat on a crisp fall morning. If you wish to find a journey already recorded, check out YouTube. Try searching guided meditation/journey instead of pathwalking. You'll find a slew of wonderful journeys, some of them focusing on ridding you of anxiety or even depression. Being able to see a journey in your mind's eye is crucial to hedge riding. While hedge riding, your mind and spirit will journey beyond our realm to the Otherworld. You will experience things you never imagined as well as those that are familiar. Unlike pathwalking and meditation, hedge riding is not controlled. What happens to you is out of your control, apart from what you yourself do. You can, of course, decide where to go and what to say, but you have no control over those around you. They will interact with you the same way your friends, family, co-workers, and strangers interact with you. Despite this, hedge riding is still very similar to pathwalking. 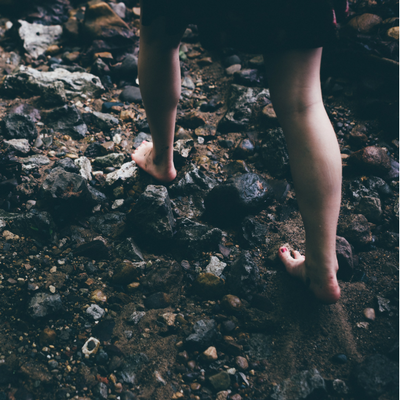 Mastering pathwalking will allow you to travel to the Otherworld with ease. It will also give you better control over your own actions while traveling. Nothing is more embarrassing than communicating with your companion guides and your mind wandering off and missing their important messages to you. I'm here to tell you, they know that your mind wanders, often times before you realize it has happened. It's rude, like interrupting someone in the middle of a conversation to text someone. However, don't despair when it happens. Ask forgiveness and move on. Focus on staying in the moment. Your guides will forgive you; I promise. It happens to me all the time, and I am experienced. Remember, focusing your mind is key to hedge riding. If you are unable to keep it focused for long periods of time, you should avoid hedge riding until you have mastered it. Furthermore, if you are stressed, anxious, angry, or upset, you shouldn't hedge ride either. Being overly emotional is potentially dangerous and, let's be honest for a moment, it's hard to focus your mind when you are emotionally unstable. Why even bother? Wait until you are in the right mindset, then contact your guides for assistance if you must. If you are inexperienced, spend the next couple of weeks preparing your mind to travel. You have some time before I delve into actually hedge riding, so use this time to practice. Good luck!